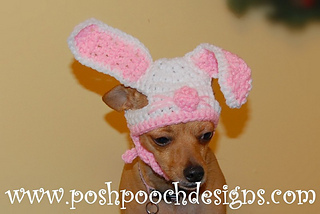 The Bunny hat is designed for small dogs 2-15 lbs. It is easily adjusted for larger dogs. 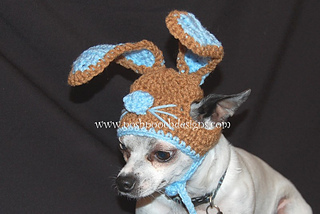 This Dog Bunny Hat is not loner available through our Ravelry shop as an individual crochet pattern.